In this detailed Resource page, we feature an abundance of Swing Tutorials! Swing is a GUI widget toolkit for Java. It is part of Oracle’s Java Foundation Classes (JFC) – an API for providing a graphical user interface (GUI) for Java programs. Swing was developed to provide a more sophisticated set of GUI components than the earlier Abstract Window Toolkit (AWT). Swing provides a look and feel that emulates the look and feel of several platforms, and also supports a pluggable look and feel that allows applications to have a look and feel unrelated to the underlying platform. It has more powerful and flexible components than AWT. In addition to familiar components such as buttons, check boxes and labels, Swing provides several advanced components such as tabbed panel, scroll panes, trees, tables, and lists. Unlike AWT components, Swing components are not implemented by platform-specific code. Instead, they are written entirely in Java and therefore are platform-independent. The term “lightweight” is used to describe such an element. Swing introduced a mechanism that allowed the look and feel of every component in an application to be altered without making substantial changes to the application code. The introduction of support for a pluggable look and feel allows Swing components to emulate the appearance of native components while still retaining the benefits of platform independence. Originally distributed as a separately downloadable library, Swing has been included as part of the Java Standard Edition since release 1.2. The Swing classes and components are contained in the javax.swing package hierarchy. If you wish to build up your Swing knowledge first, check out our Java Swing Tutorial for Beginners. In this example key binding is exhibited by means of using Keymap. For more generalized purpose we can use InputMap and ActionMap combination or even combination of Keymap and InputMap. This example is used to describe default as well as customized drag and drop. We have considered 4 different types of components to describe. In this section, you will learn how to display date picker using java swing. The date picker lets the user select the Date through an easy interface that pops up with a Calendar. This tutorial is about how to make a calculator in Java. Below I have shared the simple calculator program in java using swing. Here is a code example of closing Java program by calling System.exit() method. In this example we will demonstrate how to develop a game using JAVA Swing. In this example we will demonstrate how to build an application using Java Swing. The Java 2D API is powerful and complex. However, the vast majority of uses for the Java 2D API utilize a small subset of its capabilities encapsulated in the java.awt.Graphics class. In this example we will learn how to create a GUI using eclipse in JAVA. In this example we are going to demonstrate Java Swing Timer, A swing timer fires one or more ActionEvent at specified intervals. This is an example of creation of a JAVA Swing Hello world application. Java Graphics APIs – AWT and Swing – provide a huge set of reusable GUI components, such as button, text field, label, choice, panel and frame for building GUI applications. JList is a swing component through which we can display the list of objects. This swing component allows user to select one or more elements. Lists can have many items, so they are often put in scroll panes. In this article we will learn different types of Button and how to create them. A button is a component that a user clicks to trigger a specific action. In this example we will learn how to create a Table using JTable component in Swing. Data can be viewed or edited using the JTable component. With this example we are going to demonstrate creation of form using JAVA Swing. 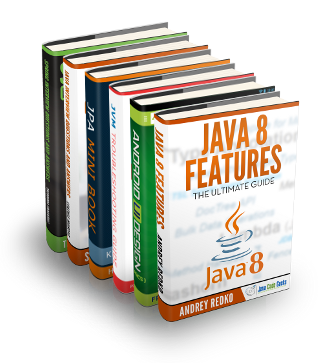 JAVA provides a huge set of libraries to develop a Graphical User Interface. In this article, we’ll discuss Java swing slider. In Java Swing, slider is normally constructed by a JSlider component. In this article, Java swing checkbox will be discussed. checkbox is to present whether an item has been selected or unselected. In this first tutorial we shall build a basic JFrame application that contains a map. In this tutorial we learned how to use: MapBean, MapHandler, LayerHandler, PropertyHandler, ShapeLayer, GraticuleLayer, OpenMapFrame. In Java swing, Layout manager is used to position all its components, with setting properties, such as the size, the shape and the arrangement. In Java Swing, layout manager is in charge of laying out different components in specific positions. In this article, we’ll focus on BoxLayout and go through the basic operation on it. This example shows a scenario to use GridLayout while developing UI. There can numerous such scenarios for use of this. For any further reading, supplied links can be referred. GridBagLayout is one of the most flexible — and complex — layout managers the Java platform provides. The FlowLayout class provides a very simple layout manager that is used, by default, by the JPanel objects. This lesson gives you the background information you need to use the Swing components, and then describes every Swing component. A JWindow is a container that can be displayed anywhere on the user’s desktop. In this example common operations of JTextField are addressed. For further reading links shared in this article can be referred. In this tutorial we are going to see how to create a JTextField with border. This is a very simple way to make your component a little bit more interesting. With this example we are going to learn how to create a JTextField with a tootip. Tooltip texts are very useful because they explain to the users how to use a specific component. In this example we are going to see how to create read-only JTextFields in Java Desktop Applications. In this example we are going to see how to create a new JTextField component in a Java Desktop Application. With this example we shall show you how to set foreground color in a JLabel component in Java Desktop Applications. This will enrich and customize your GUI components. With this example we shall show you how to set background color in a JLabel component in Java Desktop Applications. This will enrich and customize your GUI components. In this example we are going to see how to create a JLabel with border. This is one basic graphics enhancement for your application. In general, this is one of the main customizations you can perform to your JLabels. With this tutorial we shall show you how to align Icons in JLabel. This is a very easy optimization you can perform to your JLabel. In this tutorial we are going to learn how to create a JLabel with ImageIcon and text in it. Using ImageIcons and text in Labels, usually makes them self explanatory to the end user. This is a tutorial on how to handle action events for JButtons components in a Java Desktop Application. JButtons are very frequently used, and it is a very standard practice to use buttons for basic input operations in GUI applications. With this example we shall show you how to create a JButton component for your Java Desktop Application. JButtons are very frequently used, and it is a very standard practice to use buttons for basic input operations in GUI applications. In this example we are going to see how to set action command for JButton component. This is a very important task when working in a Java GUI application, as most of the times you have to bundle a button with a specific action. With this example we shall show you how to create JCheckBoxes in a Java Desktop Application. Checkboxes are very commonly used when we provide the user with a list of choices and we want him to pick as many as he wishes. In this example we are going to see how to handle JcheckBox events in a Java Desktop Application. Checkboxes are very commonly used when we provide the user with a list of choices and we want him to pick as many as he wishes. In this post, I’ll be walking you through how it’s easy to create a radio button using the JRadioButton object from the swing framework. In this tutorial we are going to see how to create grouped JRadioButtons using a ButtonGroup. When working with radio buttons in general, it’s usually pointless to create them independently from one another. With this example we shall show you how to get the selected JRadioButton for a ButtonGroup in a Java Desktop Application. In this example we will show how to use the class JFrame and how to create a simple gui by using the javax.swing package. JFrame class is one of the containers provided by the java.awt package. In this example we shall show you how to center JFrame, JWindow, JDialog components in a Java Desktop Application. You can use this when you want to center you windows in your application automatically. This is an example that demonstrates how to create a JFrame windows that supports mouse event handling. This is very useful in most GUI applications because most of the time it is very efficient for the user to provide input using his mouse. This is an example on how to create a JFrame window with window close event. Pairing a window with a closing event is a very common practice in most GUI applications. In this tutorial we are going to see how to create a JFrame window. The JFrame window is the single most important component in a Java Desktop Application. In this example we are going to demonstrate how to use Java Swing JList, JList is a Swing component with which we can display a list of elements. In this example we are going to learn how to get the selected value form a JList in a Java Desktop Application. This example is very useful because JList component provides a very easy way to get user input, especially when you want to give the user a number of specific options. In this example we are going to see how to create a JList component in a Java Desktop Application. The JList component provides a very easy way to get user input, especially when you want to give the user a number of specific options. The JFileChooser Component is used to create a cross platform directory explorer that can be used for a Java Desktop Application. With this tutorial we shall show you how to create a color chooser dialog in a Java Desktop Application. With this tutorial we are going to see how to set the file selection mode in a file chooser of a Java Desktop Application. This is very useful when you want to search for a specific type of file in your file system. In this tutorial we are going to learn how to create a File Chooser Dialog in a Java Desktop Application. We all use file chooser dialogs on a daily basis. In this example we are going to see how to create a JScrollPane container in a Java Desktop Application. With this example we are going to see how to set scroll bar policy in a JScrollPane container. This is very useful when you want to further customize your scroll bars. In this example we are going to see how to handle scroll bar value changes in a JScrollPane component. In this post, I’ll be giving an example of using JScrollPane Swing component. This component is usually used to create a scroller on panels that has more content that it can display. This is an example on how to get or set the size of the divider in a JSplitPane component of a Java Desktop Application. In this example on how to get or set the location of the divider in a JSplitPane component of a Java Desktop Application. This is an example on how to create a new JSplitPane component for a Java Desktop Application. With this example we shall see how to set the tool tip for a tab in JTabbedPane. This is an example on how to set tab color in JTabbedPane. This is an example on how to remove a tab in a JTabbedPane component. In this example we are going to see how to get the tab info in a JTabbedPane component of a Java Desktop Application. With this tutorial we shall show you how to get or set the selected tab in a JTabbedPane component of a Java Desktop Application. With this example we shall show you how to enable scrolling in a JTabbedPane component of a Java Desktop Application. In this tutorial we are going to see how to add a tab to a JTabbedPane component of a Java Desktop Application. With this example we shall show you how to create a JTabbedPane component in a Java Desktop Application. In this example we are going to demonstrate how to use Java Swing JTable, JTable is a Swing component with which we can display tables of data, optionally allowing the user to edit the data, JTable relies on a separate TableModel object to hold and represent the data it displays. In this example we are going to demonstrate how to use Java Swing TableCellRenderer interface to customize cell rendering. When a JTable object is created, several default renderers are also created. This is a tutorial of how to create dialog windows, using the JDialog class of the javax.swing package. This is a example for JLayer class in javax.swing package. JLayer is a new swing feature in Java 7. In this example, JLayer is used to decorate and validate the Text Field & Date Field in the User interface.